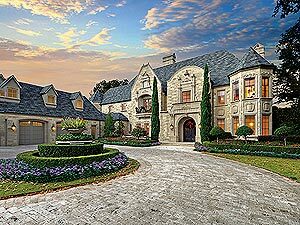 Let Christine Smith help you achieve your dream of owning a luxury home. Southern Georgian Bay can be found along the shores of Georgian Bay, it is home to a multitude of different high-end properties that suit a range of different budgets and purposes. Prospective Buyers that are looking for a luxury property or heritage home in one of the many communities that make up Southern Georgian Bay will find themselves spoiled by the number of choices, such is the array of top quality properties offered here. Purchasing any style of property can be a complex and time-consuming affair – there is just so much to consider in terms of budget, location, market value and the legal obligations of both the Buyer and Seller – but when the style of home is a luxury or a heritage property, even more considerations are necessary. You need to know if the property you are interested in is truly worth the quoted value, so you need an expert REALTOR® from Southern Georgian Bay you can trust as you will need their opinion on the quality of the craftsmanship used, the quality of the materials, the value of the custom features, the value of the land the property is located on. This real estate agent will also need a strong knowledge of masonry, flooring, cabinetry, finishing, fixtures, windows, security systems and other features in order to ascertain the true value of the house you are looking to purchase. Unless your personal knowledge covers all these bases, going it alone is unadvisable. Just like no two luxury or heritage properties are identical, the needs of individual Buyers are similarly unique. This is why Christine aims to give you a personal service, working with you to offer her skills and experience as you move forward on your journey to owning the perfect luxury home. Christine has been dealing with luxury and heritage homes in Collingwood, Creemore, Thornbury and Meaford for many years and in that time has forged strong relationships with local dealers and service providers, enabling her to get you everything you need for your new home at the best possible price. She has also developed an in-depth knowledge of the area, which means you will not miss out on that perfect property when it hits the real estate market. When you are ready to start that journey in purchasing a luxury or heritage home, get in touch with Christine so that she can help you find that property of your dreams. Browse homes for sale to find a luxury or heritage property. To buy luxury real estate in Southern Georgian Bay contact Christine Smith by email or call (705) 888-0201 to learn more about what she can do for you!